Talk Stagey To Me: Should GCSE Drama students be able to pass without stepping foot inside a theatre? Should GCSE Drama students be able to pass without stepping foot inside a theatre? In a recent Drama lecture at my university, I was shocked to discover that a large portion of the students in attendance had not been to the theatre within the last year. For me this seemed unbelievable and quite frankly unacceptable. Surely Drama students not only need to go to the theatre, but also very much want to, and as there are plenty of opportunities for young people to see see fantastic theatre thriftily what excuse could a student studying Drama possibly give for not having gone to the theatre at least once in the last year? 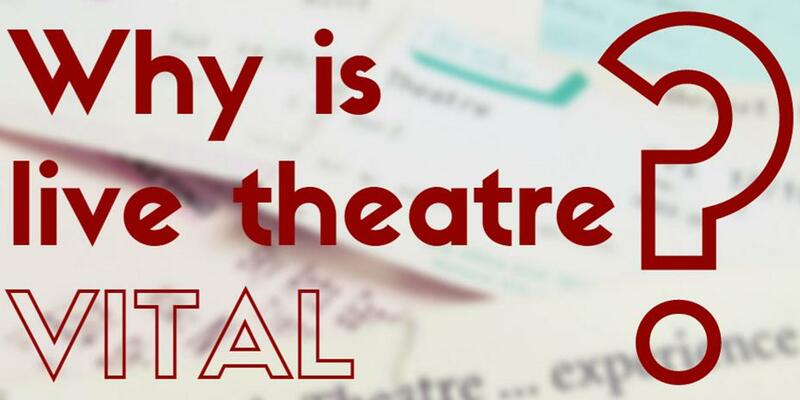 The way I see it, arts jobs are limited as it is, and although theatre (and West End theatre in particular) is often quite lucrative, those working in the industry don't always receive the highest salaries. I go to the theatre quite often, and as such I like to think that I am doing my bit to support the industry that I want to work in. To complain about not being able to find an arts job while not supporting the arts industry oneself is hugely hypocritical. But how does this fit in with the current discussion about whether GCSE Drama students should have to attend live theatre as part of their qualification? Well first and foremost it should be noted that the Drama GCSE isn't designed to provide in-depth training in acting, stage managing, directing etc., just as GCSE Biology students don't finish their GCSEs as qualified doctors. GCSE Drama is meant to ignite a passion for theatre within those who study it so that they can go on to study it in further depth at college and eventually university or drama school. For some it is the first step on the route to a career in the arts industry. Of course, recorded theatre via Digital Theatre or National Theatre Live etc. is an absolutely brilliant innovation which I myself have utilised countless times. However, nothing compares to the immediacy, intimacy and pure excitement of sitting in a theatre and experiencing a play first hand. To deny a young person the chance to experience the thrill of live theatre would be shameful. Digital theatre productions should be shown to students in addition to seeing live theatre, not as an alternative. 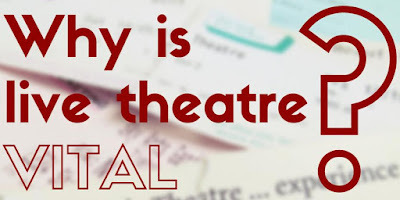 To replace a trip to the theatre with classroom experience is to devalue the importance of going to the theatre, and makes it seem like an inconvenience rather than something to be enjoyed. But most importantly, on the most basic level, students studying Drama should be seen as just as important as those studying any other subject. At my school Language students could go on weeklong trips to France, Geography students went on residential trips to Wales to study tourism there, and Science students went to seminars and workshops at local universities. Therefore the idea that Drama students shouldn't be allowed an afternoon off to visit the theatre is a completely laughable, and highlights the way some educators view GCSE drama and those who study it. So in conclusion, although I am a huge fan of recorded plays, the idea that an impressionable 14 year old could spend 2 years studying drama and never once step inside a theatre is just laughable.